The Will Rogers Memorial Hospital (renamed in Will’s honor but formally known as the National Vaudeville Association Hospital) was a leader in pulmonary research and rehabilitation in the early 1900’s. It was a sought-after destination by both patient and practitioner alike. Tucked away in the trees of Saranac Lake, New York, it was meant to offer the most advanced pulmonary medicine available, while also providing the comforts of home. An example of such comforts is this historic fireplace screen. The screen was presented to Entertainment Industry Impresario, William Morris in 1920, in remembrance of his contributions to the vaudeville industry. William Morris came to Saranac Lake with tuberculosis just after the turn of the century. He lived much of the rest of his life in the village and contributed in many ways to the community. 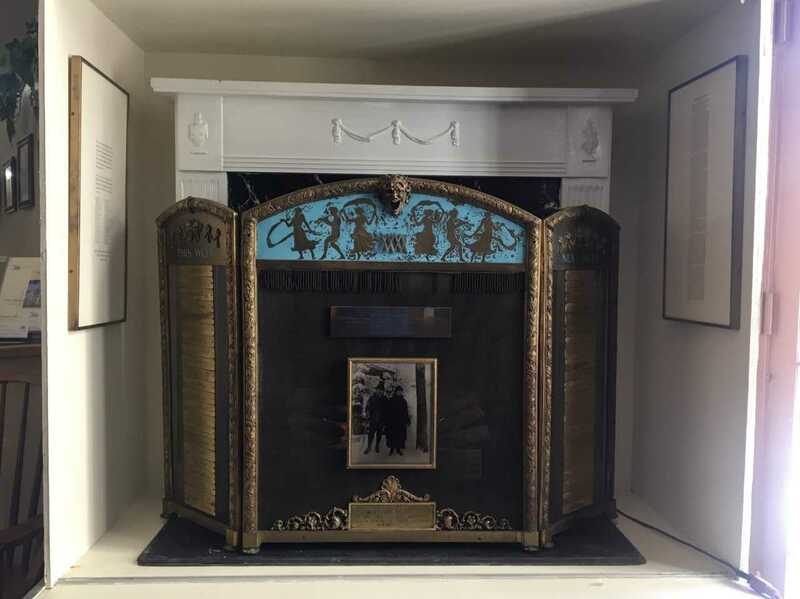 The fireplace screen was used for a time at his Saranac Lake home, known as “Camp Intermission” and was later donated to the Will Rogers Memorial Hospital. The screen is designed as a stage proscenium with vaudeville act annunciator boxes as they were installed in the theaters of the American Music Hall Circuit while under the management of William Morris. 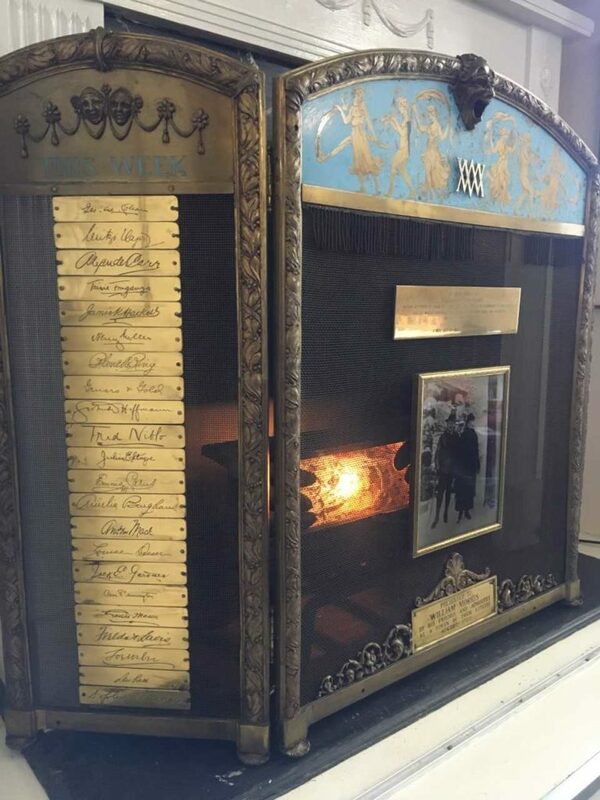 Signatures of many famous actors of the time decorate the screen, such as Charlie Chaplin and Sophie Tucker. When the Will Rogers Institute merged with the Foundation of Motion Picture Pioneers and moved the headquarters from New York to Los Angeles in 1997, the historic screen made the cross-country journey. It was displayed for many years in the Los Angeles office of the Will Rogers Motion Picture Pioneers Foundation where it was well kept, but not often visited. A recent partnership with Historic Saranac Lake has changed that. In recent years, the Will Rogers Memorial Hospital has been repurposed as a retirement community. Through a special arrangement with the staff of Saranac Village at Will Rogers, Historic Saranac Lake is providing the screen on long-term loan, to be displayed in the Great Hall. Here it will be seen by thousands of viewers annually and a small piece of history will be preserved in its rightful home.